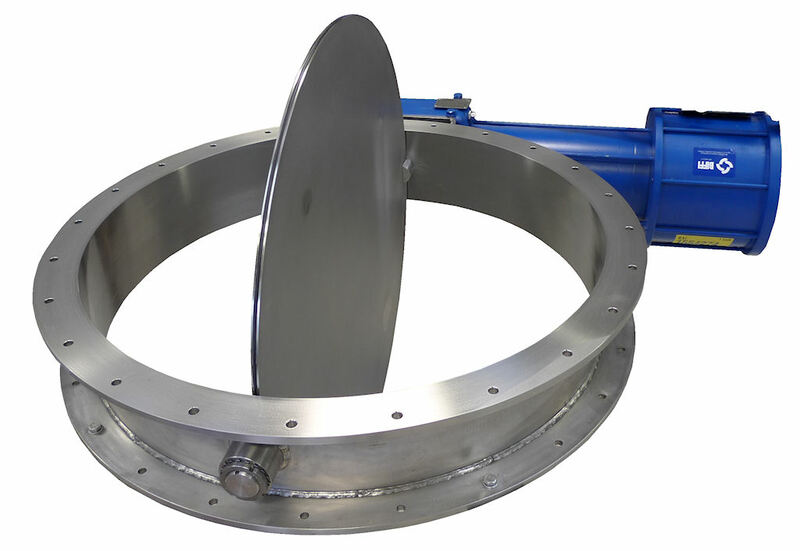 Here's a 1000mm bore fully stainless steel 316 custom designed damper valve with EPDM O ring seals. Designed to handle fume laden air, the body is fabricated from rolled plate then machined to give a smooth finish. The drilling is custom made to match the surrounding ductwork, the shafts are mounted in maintenance free bronze bearings to give exceptional longevity with no maintenance. The client asked us to mount their own large, spring loaded actuator so we custom made a reinforce bracket to take the weight of the 250kg pneumatic unit.